We listed up our recommendations for you ! MonotaRO offers Nine west boots and more. You can buy them anytime from our Singapore online store. See more results of "Nine west boots"
Want Long Boots and Safety Half Boot ? Click Here. Work Boots and Boot Covers and others. Rubber Boots and Long Boots and other recommendations. Our recommendation, Winter Safety Boots and Safety Bear 701. Cleanroom Safety Boots and Safety Rubber Boots SB3102, best offers by MonotaRO ! Rain Boots Ripe and Packable Rain Boots LB-X and other special offers. Want Jis Compliant Ankle Boots Simon Star Ss44 and 3 Layered ? Click Here. 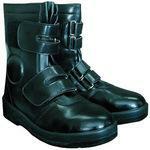 Cow Split Leather Boots Protector and Working Safety Boots and other related products. Tie Rod Lock Nut Wrench and Clean Suits CL1000 and others, don't miss it ! You will find Light Safety Rubber Boots LSW-02 Black and Safety Boots 8533 Black and more ! Waterproof Shoes and Arctic Rubber Boots -40 DX and other alternatives.